They are two of the most desired car brands in the world. Both brands have armies of loyal fans, make jaws drop as they drive by and have a rivalry dating back to the 1960’s when Ferruccio Lamborghini suggested to Enzo Ferrari that his cars were good, but could be better! For those of us who are not multi millionaire’s (and we assume that is most people who read our blog) the closest we will ever get to owning one of these monsters of engineering is visiting the museums. So, like on the track which company’s museum out performs the other? Well in recent times we have been lucky enough to visit both, and one brand is certainly the first past the finishing line! 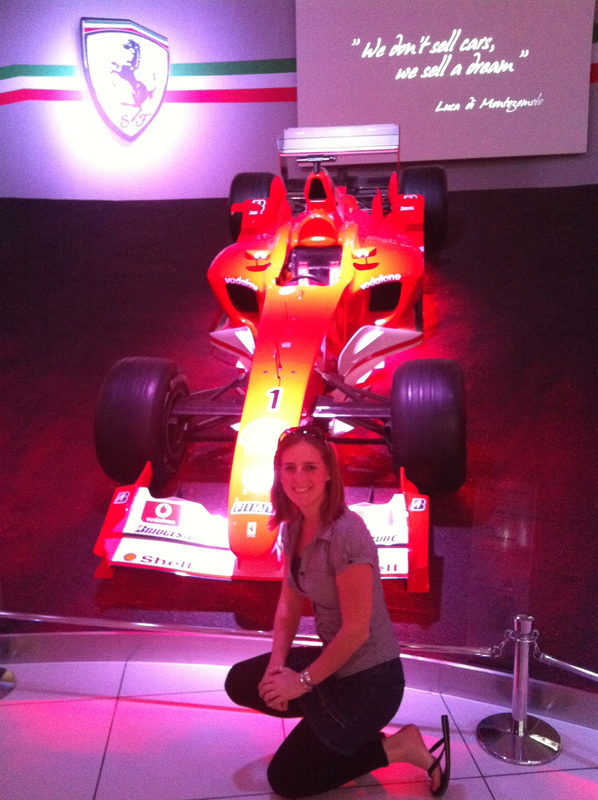 The Ferrari Museum is everything you would imagine from a super car manufacturer. Big, bold and brash the pristine white interior of the museum is tempered by the racing red of the various makes and models throughout Ferrari’s history. Immaculately manicured staff in red jumpsuits parade through the gift shops and around the museum almost putting the cars to shame. 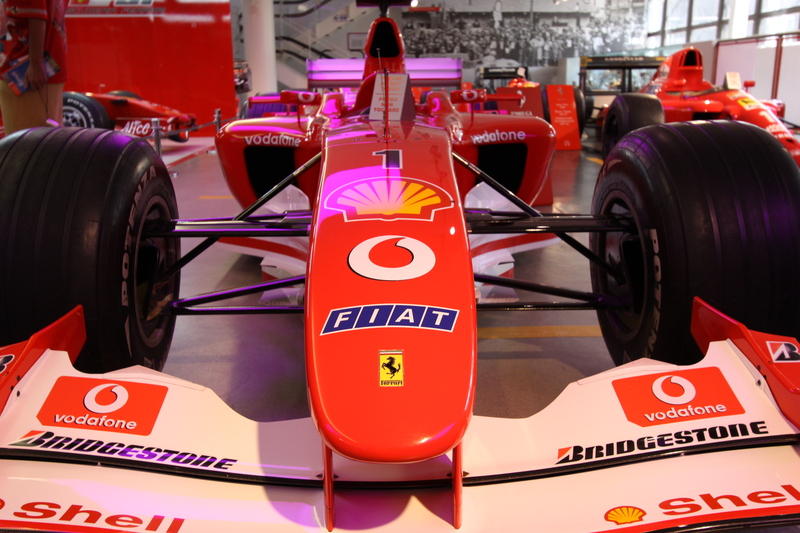 The museum also showcases the rich Formula 1 history with the Hall of Champions, a room dedicated to the world champion winning cars and a wall of trophies amassed by Ferrari over the years. A gift shop almost as large as the museum sells just about anything you could slap a Ferraro logo on, shirts, caps, even LEGO sets and recreated parts of a car all waiting for the fans to snap up. Outside is your chance to drive one of these beasts. A ten minute drive will cost you around 70€ all the way up to 700€ for two hours! With a range of cars to choose from you can put into practice what you learnt in the museum. Ferrari also now offer tours of their test track and around the production facilities (you don’t get to go inside any buildings and photos are forbidden). Without a doubt, Ferrari knows how to put on a show and cater to what their fans want.The museum is excellent, exhibitions well thought out and the Formula 1 area is a definite must for fans. So how does their arch rival Lamborghini match up? From the moment you arrive at the Sant’agata Bolognese factory it is a totally different feel. The building is dark and dank, no flashy flags, bright signs or over the top advertising like in Maranello. The museum is also incredibly small. Split over several floors the museum can easily be covered in about 45 minutes, even for die-hard fans. 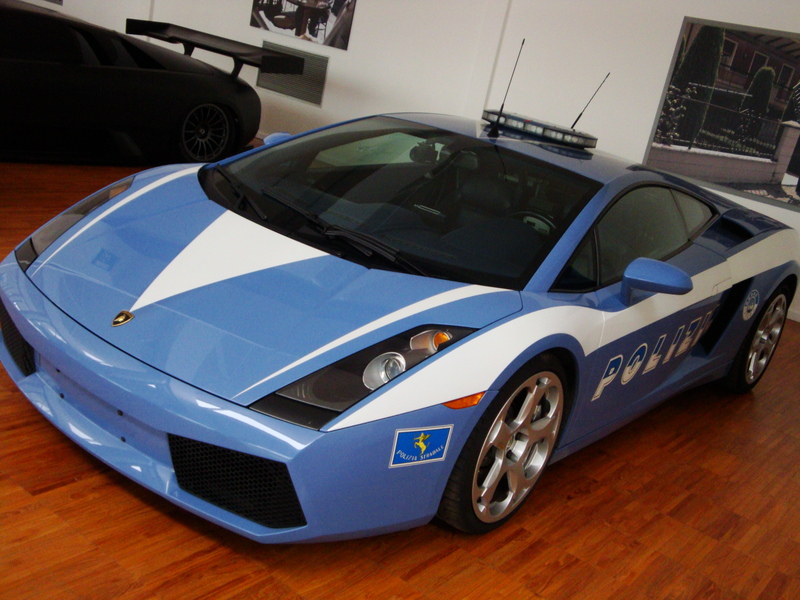 The museum showcases all Lamborghini’s major motoring achievements including a Lamborghini Police Diablo, allegedly once owned by a Mafia boss and turned into a Police car to show that the Police were not scared of them, (the Police crashed the second one they confiscated). The Lamborghini Patrol Car, the Police crashed the other one! The museum feels more like someones private collection is on show rather than the flag-ship of one of the world’s premier super car manufacturers. 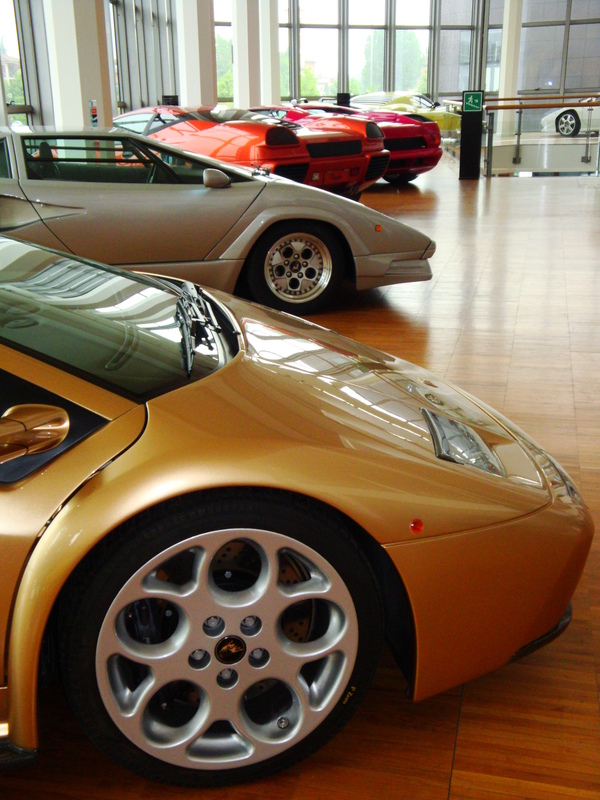 Lamborghini does trump Ferrari in one major area though, their incredible factory tour. This 45 minute tour takes you onto the production floor as you watch man and machine hand craft each individual car. From ladies stitching the leather seats and steering wheels to the computers perfectly aligning each of the 15,000€ ceramic disc brakes (each worth s much as a Toyota Yaris our guide told us) the factory tour is incredible. The highlight is without doubt at the end when you watch a technician start up each car for the first time. The grumble then roar of the engine not only sends shivers down the necks of the visitors, but every engineer working in the factory looks up, a knowing smile crossing their lips as they hear their newest baby roar to life! The lack-luster museum and expensive entrance costs are worth it just for this moment. 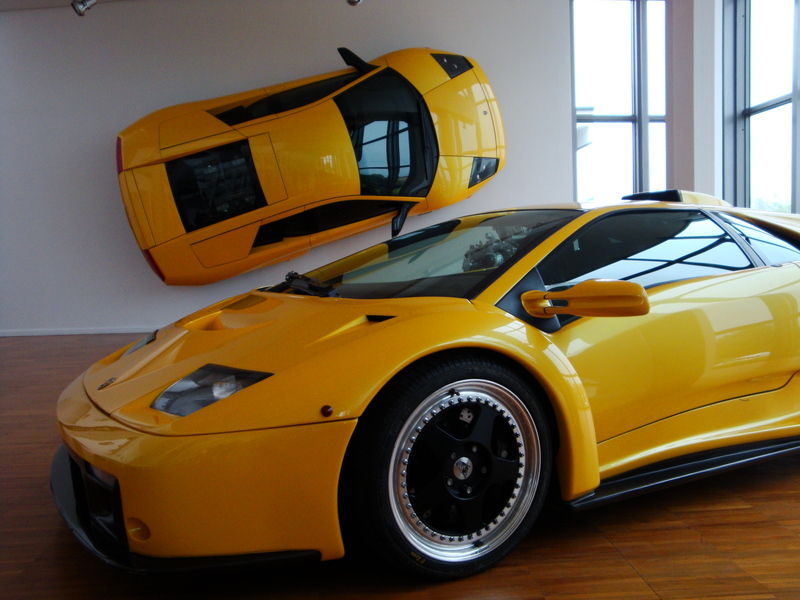 While the Lamborghini Museum lacks the flair of Ferrari there is still something appealing about it. You almost feel that the museum is an after thought, the real purpose of everyone being there is that moment that car is switched on for the very first time. That being said, in the museum showdown between two of Italy’s premier brands there can be only one winner. It would be fair to say for the everyday traveller, the Prancing Horse has more to offer than the Raging Bull, but the factory tours make for a closer contest than expected. In today’s challenge, the Ferrari Museum takes the podium with Lamborghini second! 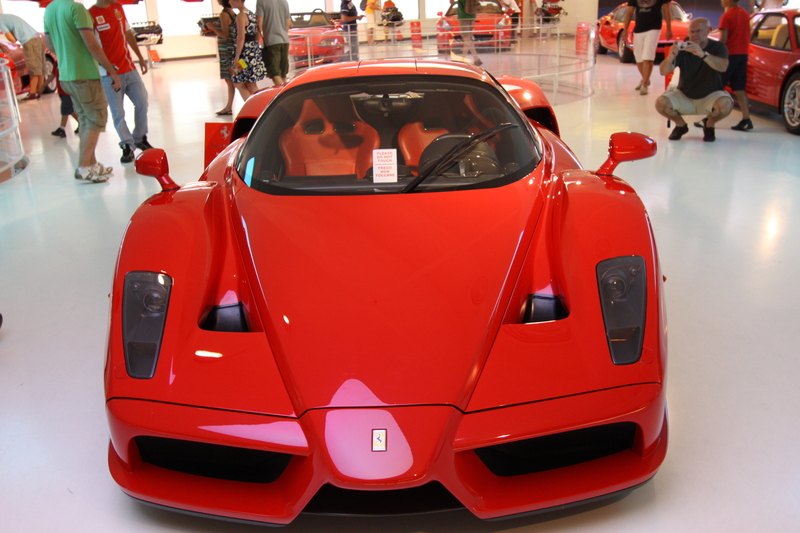 This entry was posted in Italy, Uncategorized and tagged Ferrari, Ferrari Museum, Lamborghini, Lamborghini Museum, museums, travel. Next stop: BMW Museum vs. Mercedes museum? Thanxs a lot for this comparison. I know now where to go in 2 weeks..